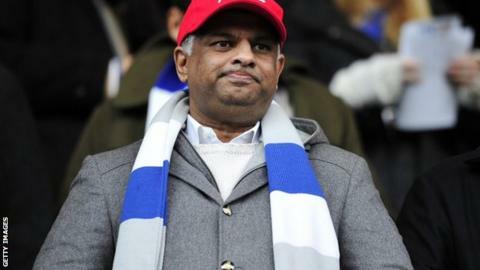 On the day Tony Fernandes bought Queens Park Rangers, he spoke of prudence and stability. He would not bankroll the club, he said. QPR would be run with common sense, good judgment - a model of how to succeed in a world where the value of footballers had become "completely inflated." "Football needs to change," he declared. "There are clubs out there who are spending money that if they were in a real business they could not afford. That inflates it for everybody. For the sake of football, proper business sense has to be made." Some 17 months on, Fernandes is finding out that it is not at all easy to stay within a tight budget when the pressures of sustaining Premier League football weigh heavily on you. It has been some time since a transfer window passed without Remy being linked with a move to a Premier League club. Remy is a winger turned forward and has been likened to Thierry Henry, with searing pace, brilliant footwork and an eye for goal. His future was thrown into doubt in 2010 after he was diagnosed with a heart condition before moving from Nice to Marseille. Following consultations with three cardiologists, Marseille said the problem would "not prevent him from doing his job". Since he made that statement, managers Neil Warnock and Mark Hughes have departed and some 20 players have arrived. Nevertheless, having narrowly escaped an immediate return to the Championship last season, QPR are bottom of the Premier League table this time round, with just two wins - against neighbours Fulham and Chelsea - and only 16 games left. The January transfer window represents the last roll of the dice for a club whose financial plan depends on continued top-flight football. "At the moment it feels like it is going to be survival or bankruptcy," Paul Finney, from the independent QPR fans website Indyrs.co.uk, said. "We have signed far too many players on ridiculous wages - we have got more than the PFA. But there is a sense that Harry Redknapp is now buying the right ones." Rangers' £8m deal for highly rated France striker Loic Remy bears that out. The 26-year-old has been compared to Thierry Henry and only last season was been talked about as a £20m player. Redknapp, an admirer of the player since before he took the QPR job, has scouted him personally on a number of occasions and watched him play for Marseille only last week. This was a player he wanted badly. And yet, Newcastle had expected to announce Remy as their player on Tuesday. They had agreed a fee and arranged for the Marseille striker to fly to Tyneside on Sunday. He did not arrive. QPR had intervened, refusing to take no for an answer by upping their bid and offering the player a financial package that outstripped anything Newcastle pay even their highest earners. Money talks. Redknapp is also in talks for Rennes and France midfielder Yann M'Vila, who would cost around £7m and expect wages of at least £60,000 a week. Players of this class cost money, but the alternative for QPR is to keep their hands in their pockets and hope Redknapp can turn things around with what he has already. Stick or twist. "We feel like we are buying a new team every transfer window at the moment," Finney added. "We know we have spent an awful lot of money on players who just haven't done it on the pitch. "But Harry Redknapp is willing to pay the right money for the right players and that hasn't always been the case over the last year or so. Contracts haven't had wage-drop clauses, or relegation clauses." Huge sums have been committed already, of course. Joey Barton's contract is worth £65,000 a week, although he is now on loan with Marseille. Shaun Wright-Phillips is on £60,000 a week while Bobby Zamora and Djibril Cisse, both 31, are being paid £60,000 and £45,000 a week respectively. It was something when he took the job in December. "I fined a player last week and he was earning more than any player earned at Tottenham," Redknapp said at the time. "You shouldn't be paying massive wages when you've got a stadium that holds 18,000 people." And yet now Redknapp is in a situation where he feels he has no choice. Relegation is not part of Fernandes's long-term plan, with work on a new training ground ongoing and the search for a new stadium continuing. If relegation becomes a reality there will be a need to offload players on expensive contracts. Right now, the simple maths for Redknapp is that his side need to compile 26 more points from the next 16 matches, whatever the consequences. "The fans are much more confident that the club is moving in the right direction and that we can actually stay up," Finney added. "Harry has addressed a lot of the issues we have struggled with all season, shored up the defence and trusted players like Clint Hill, Shaun Derry and Jamie Mackie - the old guard. Not many teams have taken four points at Chelsea and Spurs this season. That's no mean feat. "But we need a small, hungry squad. One that is full of players who want to fight for the club, who care. We haven't had enough players like that. Too many have been here to take the money." Survival is likely to bring another reshuffle in the summer. The other eventuality is not one anyone at Loftus Road wants to countenance at this stage.